Looking for new sourcing opportunities in natural ingredients for food, supplements and cosmetics? 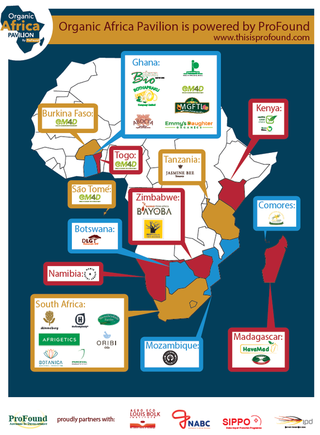 24 suppliers from 10 African countries will exhibit their products in the Organic African Pavilions hosted by ProFound at BioFach 2019, stands 4-359 and 4-571. From 13-16 February, you will find high quality products from all over Africa. Buyers and other visitors are welcome to smell and taste fresh papaya, tiger nuts, cocoa beans, honey, moringa, baobab, lychee juice, vanilla, various essential oils and herbal teas. Want to make an appointment at BioFach or learn more about these companies? E-mail us at biofach@thisisprofound.com.